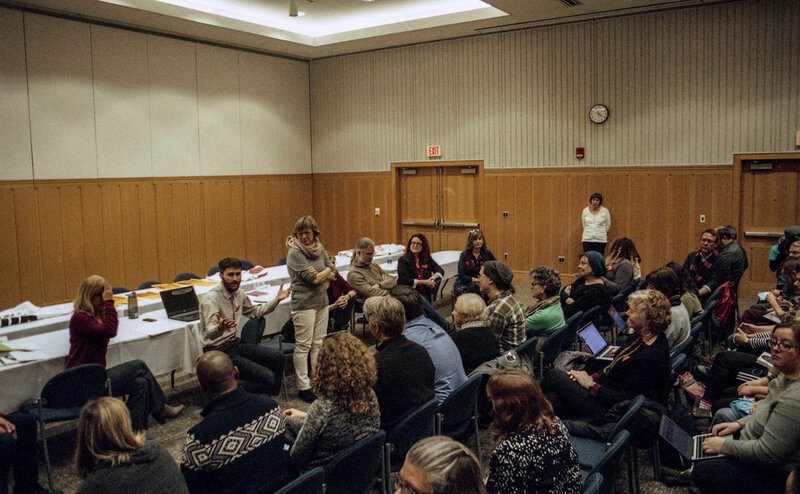 By joining your union and becoming a voting member, you contribute to the power we have as lecturers to negotiate better contracts with the University of Michigan administration. LEO is a democratic, member-run organization. Members can vote in union elections and at membership meetings that determine the goals and strategies of our union. Michigan is a "Right-to-Work" state, which means we have anti-union laws that allow non-members to enjoy all the benefits of union representation without contributing any dues. 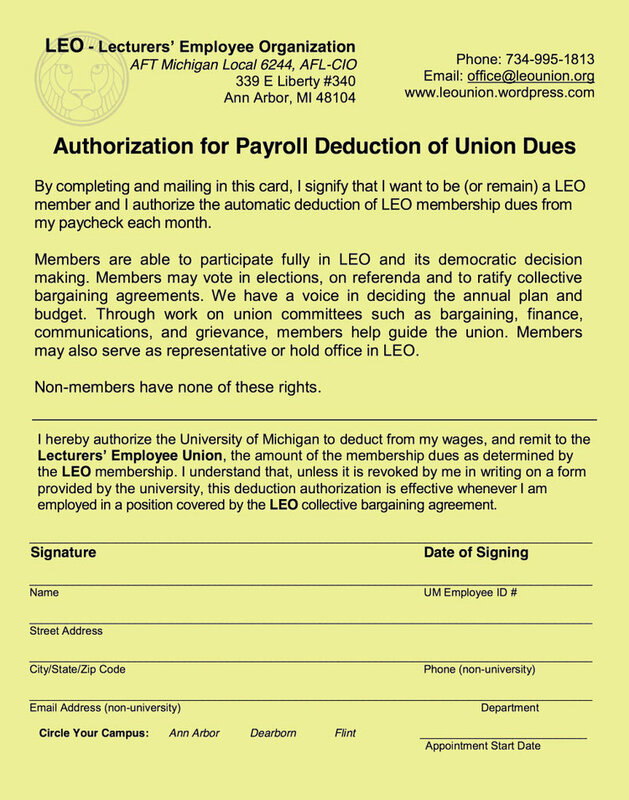 In order for our union to thrive, members must voluntarily sign cards to pay dues (1.6% of monthly gross pay). You can read a detailed summary of the contract gains we have achieved through our right to collective union bargaining here. You can also read a reflection from a LEO member on Right-to-Work legislation and what it means for union members here. For detailed information on how member dues are spent, see our 2018 budget. Read below to find out how to sign your membership card. Click here for a printable version of the membership card. Your membership card can be filled out online here. If you have any difficulties completing this process, please call (734) 995-1813 or email: office@leounion.org.